Bruce Lee II is the more than excellent sequel to the first Bruce Lee game. The game was (and is) very popular amongst many gamers. 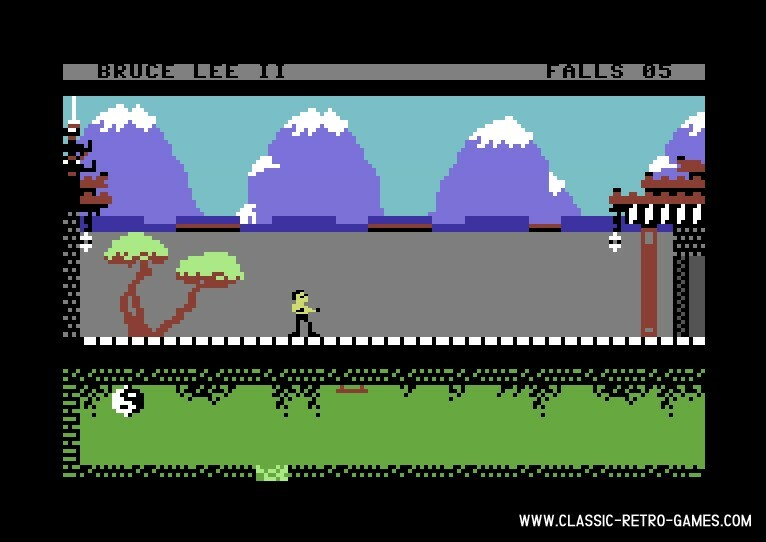 Bruce Lee II added even more obstacles and tricky levels although the gameplay in itself remained the same. Many of the games we have on the site are modern remakes, but this remake by Bruneras is a masterpiece that combines the C64 and Amstrad CPC versions in one game. The game plays, looks, sounds and feels exactly like the original. It really brings back memories. 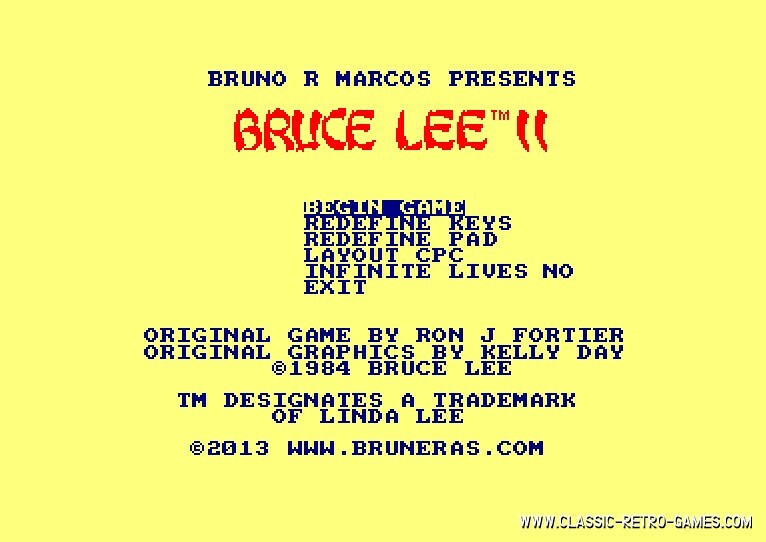 Don't wait any longer and grab this free Windows PC download of Bruce Lee II. Currently rated: 4.4 / 5 stars by 11 gamers.